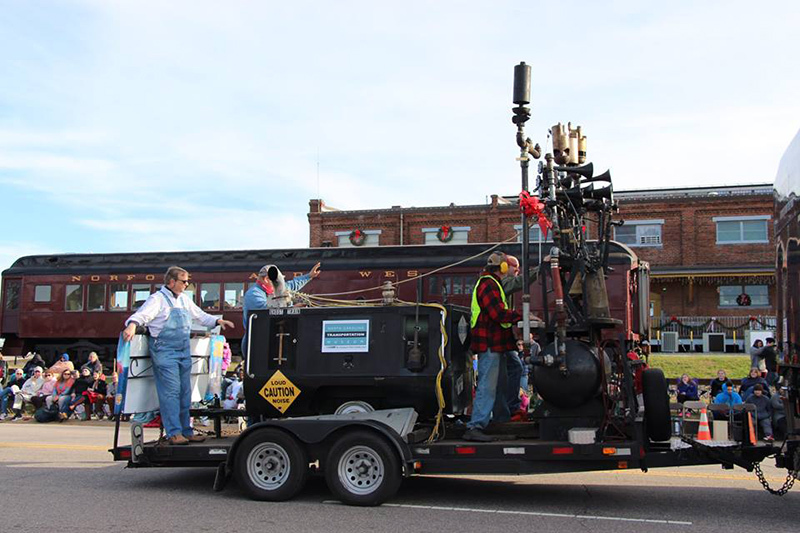 Add excitement, fun and education for the entire family at your next event or parade by renting Watauga Valley's "Whistle Truck". 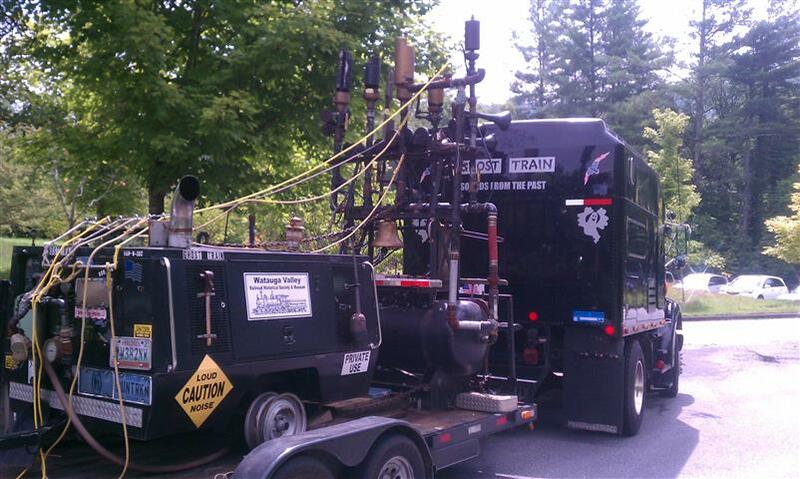 This truck is a self-contained trailer featuring a collection of unique, historically-significant whistles from the steam locomotive era and the means to blow them. Steam locomotive whistles, more resonant and musical than modern, electronic horns, were audibly distinct. Also, engineers of that day had their own unique way of blowing whistles, providing an aural "signature" that identified the man at the throttle to anyone within hearing distance. 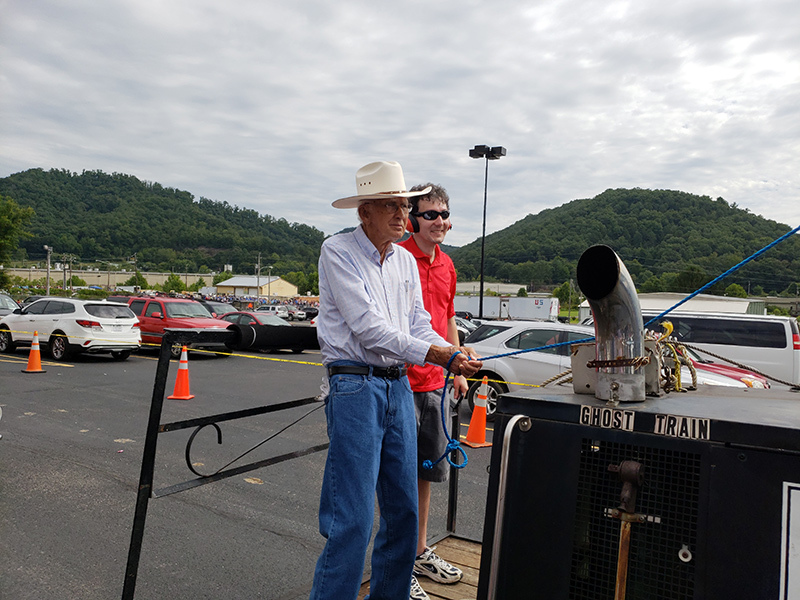 The "Whistle Truck" offers an opportunity to everyone of all ages to thrill to this bygone, haunting sound and, perhaps, create their own "signature" whistle sound. 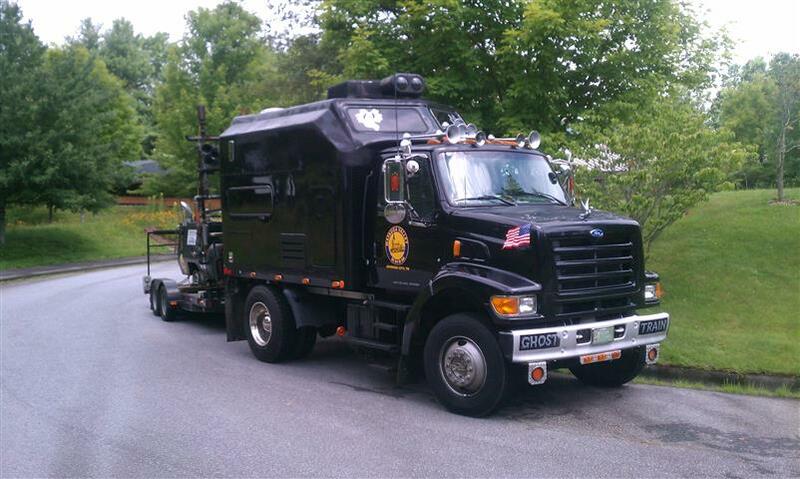 The whistles safely use air from a 185 CFM Sullair compressor and a 125 gallon surge tank. There is no steam involved in the operation. 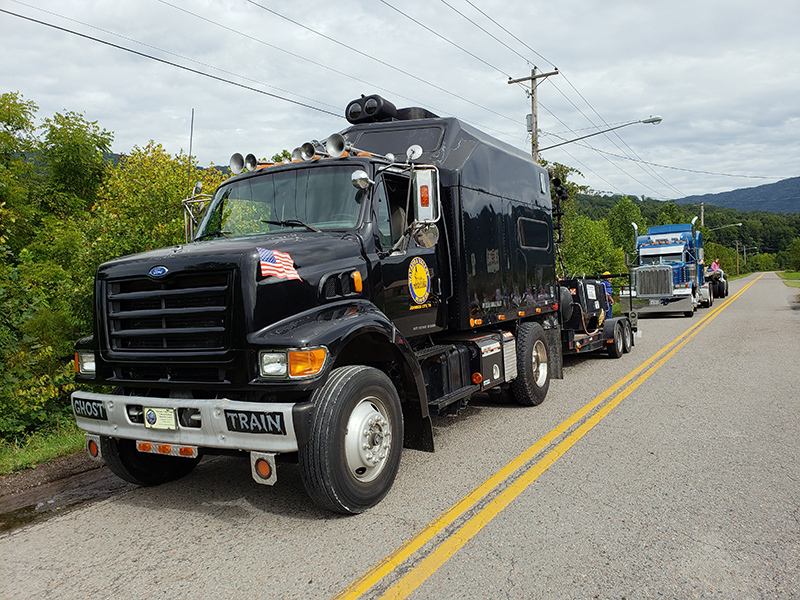 The rig - the Truck and trailer - is towed by a custom built Ford F900 Diesel Truck. The collection includes vintage steam whistles from railroads such as the N&W, SOUTHERN, CB&Q and WESTERN MARYLAND and an accurate replica of the famous "Casey Jones" whistle. Historically significant in the collection as well are air (diesel) horns from CSX, N&W and VIRGINIAN and various caboose (signal) whistles. 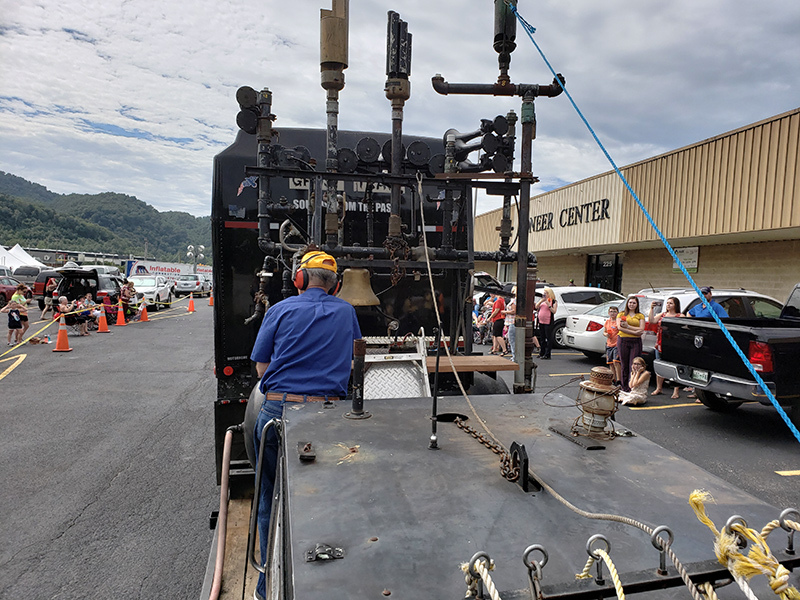 For more information, contact the Watauga Valley Railroad Historical Society & Museum at 423-753-5797 or wataugavalley@gmail.com.